​1. 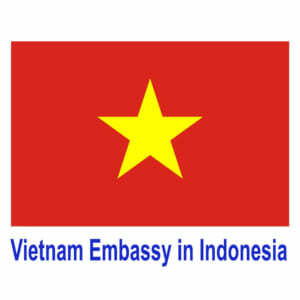 ​​Get Profile Applications filed at the headquarters ofdiplomatic missions, consular offices ofVietnam in foreign countries (hereinafter referred to as representative offices). Time and result records: the working dayprescribed by the Agency representatives(except for holidays, holidays under the provisions of the host country and theholidays, New Year’s Day as prescribed byVietnam). ​2. ​Consideringsettlement ​Agency representatives receive dossiers,consider and resolve. ​3 ​​Returns results ​Get live results at the headquarters of theagency in accordance with receipt records. ​1. ​​01 copies of documents sent abroad or 01 copies of the notice of thedecision or the State Department or the management agency news agencies and newspapers of Vietnam state resident abroad onextended duty working period. Is Indonesia in Vietnam Visa Exemption list 2019? Do Indonesian citizens need to apply for Vietnam Tourist visa 2019? Do you know 6 months or 1 year visa on arrival to Vietnam 2019? What will happen if you overstay Vietnam visa? Where to find Vietnam Immigration Department?